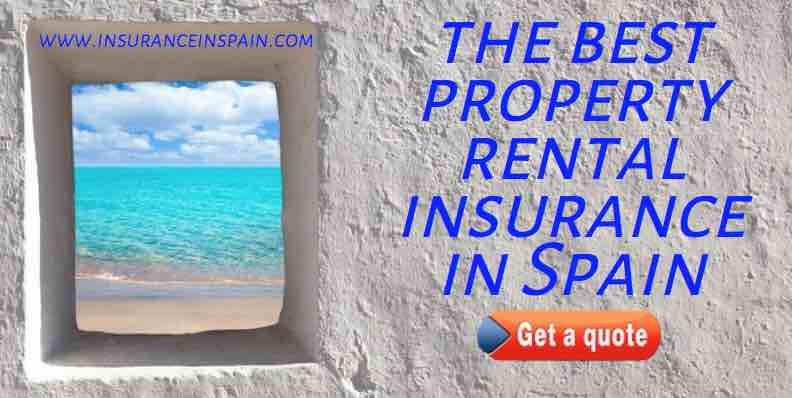 Villa, house, home, holiday home and rental home insurance in Spain. Peace of mind whether you are home or away. www.insuranceinspain.com we specialise in doing just that. Searching for quotes online won't give you the protection you need. It might provide you with a cheap Villa insurance quote and you may be tempted to take that insurance - Don't ! you will be heading for trouble, strife and possibly face expensive bills. It is estimated that nearly 45% of the properties in Spain are NOT insured. Insuring your property with your Bank ? Your bank or mortgage provider will attempt to include as compulsory, your buildings insurance as part and parcel of their mortgage offer. They may try and intimidate you into signing up for this insurance and in some cases may even add a penalty, such as an extra 1/2 % on your mortgage rate if you do not. This is illegal. They may make the request but are not allowed to insist. The practise of adding an increased interest charge to your mortgage because you do not want to take out their house or villa insurance is becoming common. The bank will provide you with a very expensive insurance that does not have the specialist or necessary cover to protect you. The bank insurance products are designed to make them money and is only required to protect their interests, normally the building itself. Ask to see their policy and have it examined. We are happy to do this for you and advise, without prejudice, on the insurance product they are offering. Once engaged with a bank insurance product, it can be very difficult to cancel it. These policies are usually very basic and do not cover your contents, the gardens, emergency call outs, flooding etc. So Be aware. The temptation is to contract this insurance because of the convenience, the pressure and the need for the mortgage or loan. They are also likely to insist that you have one of their life insurance products. Get a Life Insurance quote. Click Here Your life insurance can be assigned to the bank, you do NOT need to take out their expensive life insurance products. Spanish Buildings insurance is exactly that, it covers the actual structures of your Spanish Villa and all the outbuildings, garages, swimming pools, walls, gates and fences, patios and garden fixtures. Most of this is covered by good insurance policies, so do check carefully if you are planning or are being forced to take out a bank insurance policy. The buildings insurance should cover you against the costs of rebuilding the property in the event of total or partial loss, debris removal, and cover any fees incurred in the event of an earthquake, storm, flood and burst pipes and in the event of a natural disaster. In the event of a natural disaster, any claim you make may be referred to the Consortio. This is the government insurance scheme that all insurance premiums contribute towards, so that there is protection for such events. Buildings insurance does NOT cover Kitchens and bathroom furniture and fittings as these are often classified as contents, as they can be changed and replaced. Remember to include the value of these when requesting the level of cover for your contents. Not all policies cover swimming pools, or outbuildings and garages and porches that are not part of the main building - so do check. How to calculate the amount to insure the building for. We will help you assess the value of your property in Spain. If you have a mortgage you will have a value assigned to that mortgage as the rebuilding cost which will have been completed by the bank surveyor or an independent surveyor. It is very important that this figure is correct. If you under insure the value of your property in Spain you will only receive the underinsured percentage. So if you insure your Spanish property for only 80% of it's true value, you will only receive 80% of any claim made. Once you have established a value, most insurance companies will index link the value of your property to take into account any changes in the rebuilding costs. On most insurance policies you will need to include the value of your kitchen and bathrooms as these are often classified as contents due to the fact that they can be upgraded and changed. Most people assume that contents insurance is calculated on the value of the items you would most likely take with you if you were moving house. The best way to calculate this is to go from room to room and calculate how much it would cost to replace each item in that room. It is also beneficial to keep any receipts that you may have for your purchases so that you can show proof of purchase and the correct value. Items such as furniture, furnishings, personal items, electrical goods, ornaments, glassware, sanitary ware, curtains etc should be included. Take photographs as a record of what you have. Mark all electrical items with a UV pen so that stolen items can be identified in the event of any recovery after a theft. Covering your contents for accidental damage. Most policies do not cover for accidental damage as standard. It is usually an optional extra. This provides cover for items in the property that might be accidentally damaged by you, your family, pets or visitors. The premium is usually calculated on the value of the contents you wish to cover for accidental damage. All risks insurance cover is an optional extra and allows you to cover such things as jewellery, laptops and any items that you might take out of the house. For jewellery cover it is vital that you have a secure safe. Public liability insurance is not standard on policies. Some do cover for any liability caused by your pet when within the grounds of the property and it is best to seek our advise on this subject. If you are letting the property, this type of insurance is a must. If visitors to the property were to slip and injure themselves, particularly around a swimming pool, then you are liable for all and any costs involved if you don't have any public liability insurance. With increases in owners being sued for the smallest of incidents in a bid to recover expenses incurred for any injuries sustained at your property, it is worth the small premium to ensure that this is not going to happen to you. We can also provide personal accident and injury policies which will protect you against any accidents and injuries incurred by yourself whilst undertaking your daily routines, or if you are out riding a bike or hoses etc. Please Click Here for more information on Personal accident and Injury insurance. Premiums start from as little as 75 Euros a year and offers cover for most sports and activities. What will affect your premiums ? The type of security within your property, whether it be a holiday home, your permanent residence can make a big difference to your premium. Multi point door locks, surveillance cameras, direct alarm systems, lockable windows, shutters and garden fences and walls all help reduce your premiums. The location can also be a factor. In areas where high crime rates and burglaries are recorded can also have an effect so it is best to contact us to advise you on the best form of protection for your area. Cancelling your House Insurance in Spain is not easy. Once you have contracted a House insurance in Spain it is notoriously difficult to cancel, which is one of the reasons to use us. It can be a complex process and if you forget, you will not get a return of any premium and it will automatically be taken from your bank account. Most insurance companies insist on direct debits for your property insurance. You must give at least 2 Months written notice of cancellation before it is due to expire. If you don't, the insurance premium will be collected from your bank account automatically. If you do not have funds in your account, the request will be returned to the insurance company and they are likely to take you to court to recover the premium. If you are not using a broker or agent, it is important to remember this. At www.insuranceinspaincom we will contact well before the renewal date to ensure that you know what the renewal premium is (The insurance company will not notify you of your renewal premium until after this period has elapsed) but we will keep you up to date and remember when these issues need to be dealt with.